This model (PHB4015) is capable of dual-voltage operation (208V/240V), is generator ready and FCC-compliant, and comes with instructions, USB to RJ12 cable, RJ12 to RJ12 cable, RJ12 splitter, and an 8-foot power cord. Remote (detached) use of reflectors with Phantom ballasts from the PHB4015 line should only be done with Hydrofarm brand reflectors having a built-in 15' cord. 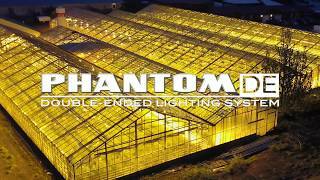 The use of additional lamp extension cords, plug adapters, and non-Hydrofarm reflectors may not work with Phantom ballasts in remote applications.